Over the last 70 years, the mateship between our two nations has only deepened as an important security, trade, diplomatic and cultural ally. 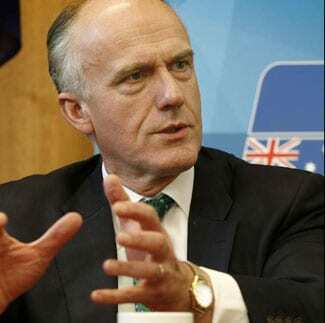 “Israel is the only free and democratic nation in the Middle East and like many Australians, I am delighted to celebrate this important milestone in our shared mateship and history,” Senator Abetz said. “On behalf of the Australia-Israel Parliamentary Friendship Group, I am delighted to celebrate this important milestone and look forward to a continuing deepening of the vital relationship between our two nations,” Senator Abetz concluded. Regarding Senator Eric Abetz, support of Israel is probably the only decent stance he has taken!.